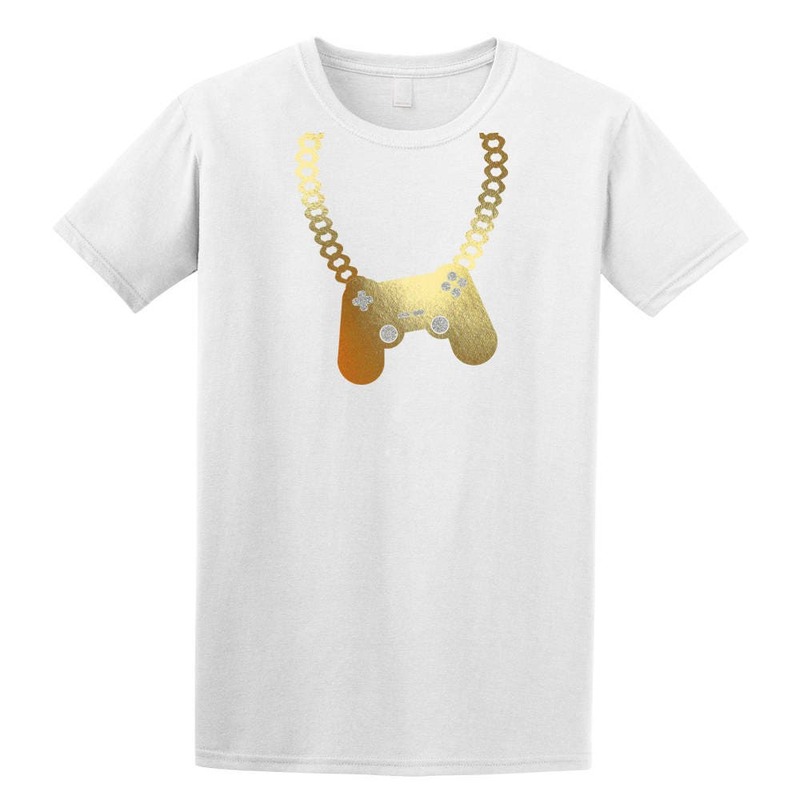 Walk out of your house in style wearing a Controller Bling shirt by Level1gamers. 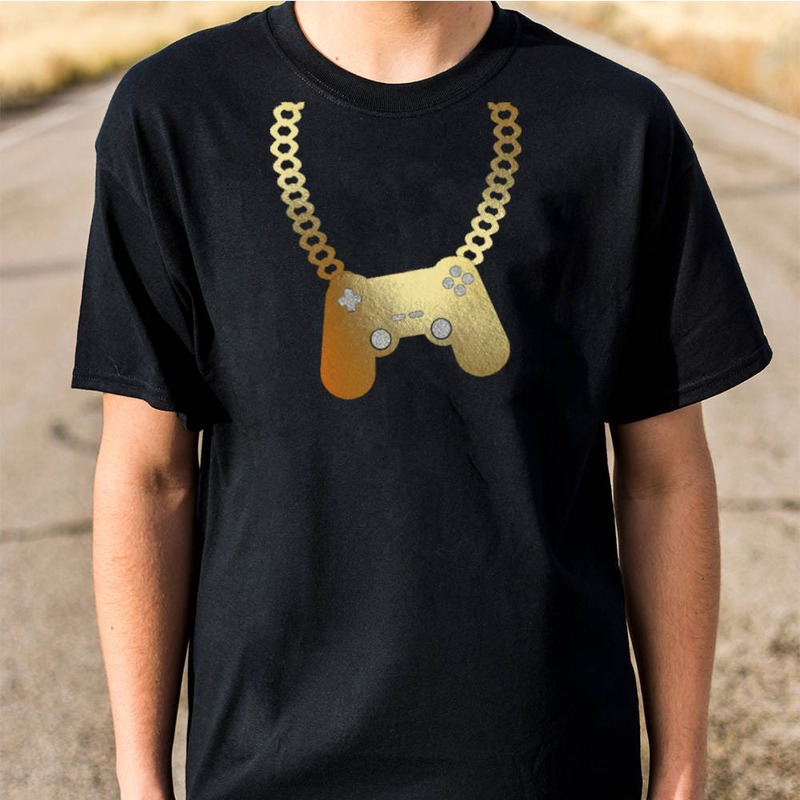 Controller and chain are cut out from gold foil vinyl which has an awesome shine in the light. The inner buttons are cut from silver glitter vinyl which gives it the right amount of bling. 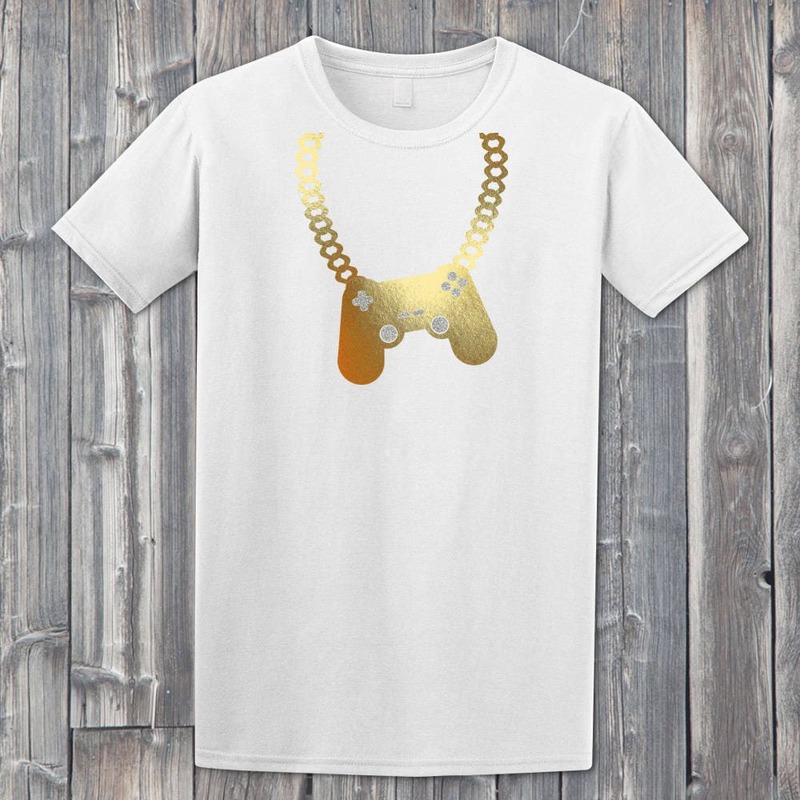 Makes a great gift for your gamer friends who enjoy gaming, but also like to be decked out. 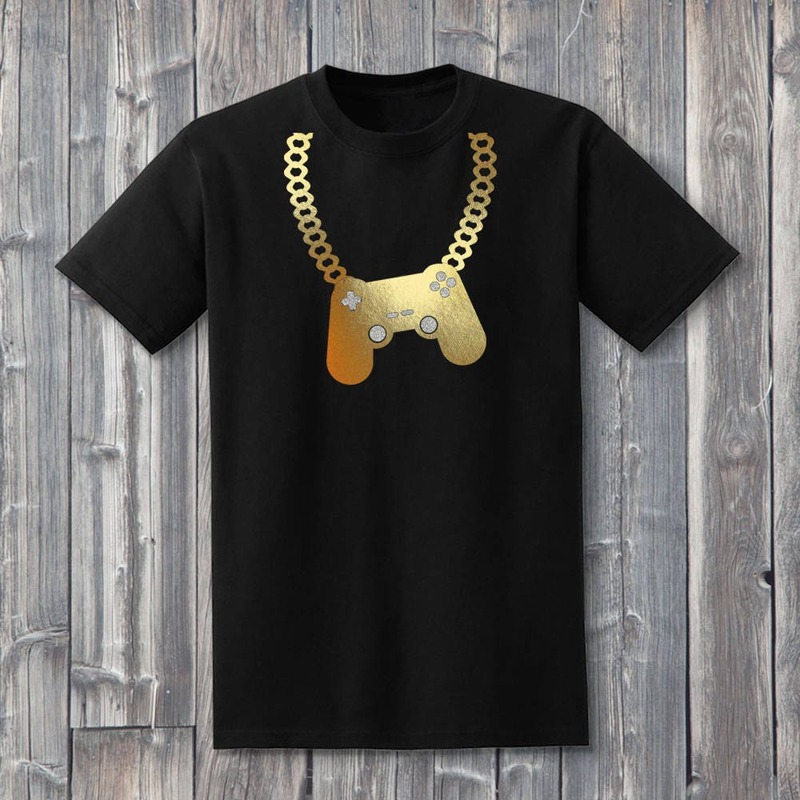 Each 100% soft cotton shirt is hand pressed with the highest quality vinyl. 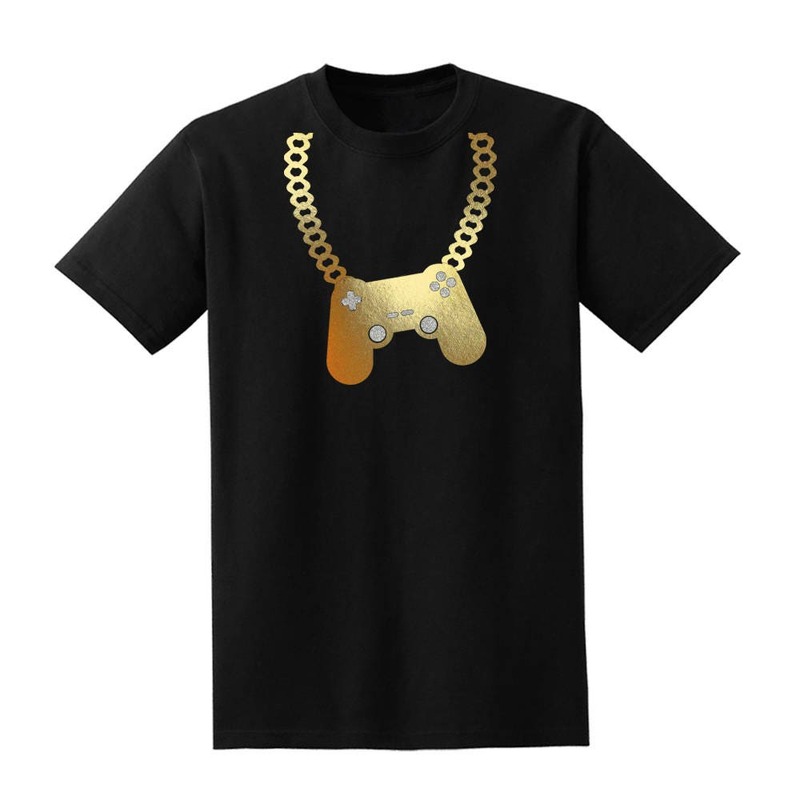 Shirts are available in white and black colors. 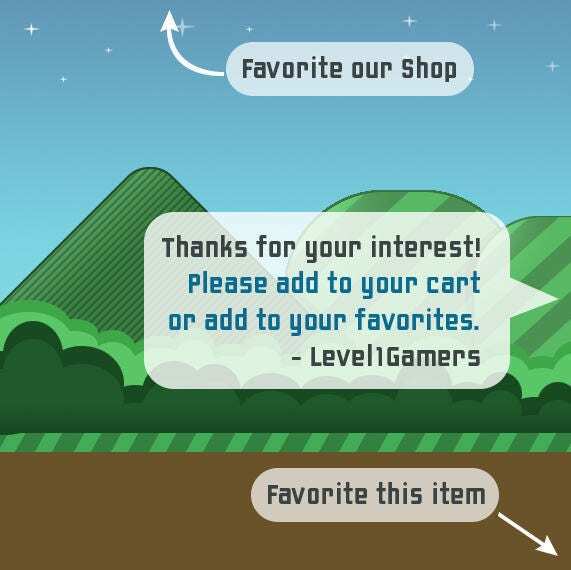 Many great unisex sizes available from youth to adult.